Qsymia is a federally controlled substance (CIV) because it contains phentermine and can be abused or lead to drug dependence. Keep Qsymia in a safe place, to protect it from theft. Never give your Qsymia to anyone else, because it may cause death or harm them. Selling or giving away this medicine is against the law. These highlights do not include all the information needed to use QSYMIA ® safely and effectively. See full prescribing information for QSYMIA. The effect of Qsymia on cardiovascular morbidity and mortality has not been established ( 1). The safety and effectiveness of Qsymia in combination with other products intended for weight loss, including prescription and over-the-counter drugs, and herbal preparations, have not been established ( 1). Take once daily in morning. Avoid evening dose to prevent insomnia ( 2.1). Recommended dose: Qsymia 3.75 mg/23 mg (phentermine 3.75 mg/topiramate 23 mg extended-release) daily for 14 days; then increase to 7.5 mg/46 mg daily ( 2.1). Discontinue or escalate dose (as described) if 3% weight loss is not achieved after 12 weeks on 7.5 mg/46 mg dose ( 2.1). 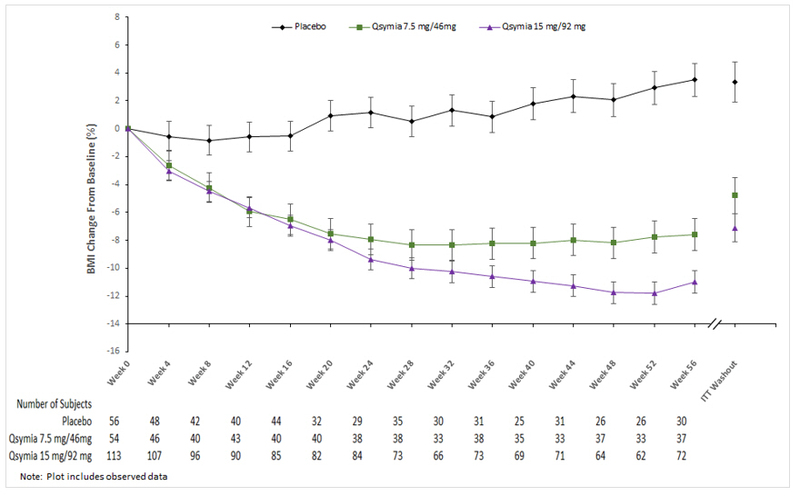 Discontinue Qsymia if 5% weight loss is not achieved after 12 weeks on maximum daily dose of 15 mg/92 mg ( 2.1). Discontinue 15 mg/92 mg dose gradually (as described) to prevent possible seizure ( 2.1). Do not exceed 7.5 mg/46 mg dose for patients with moderate or severe renal impairment or patients with moderate hepatic impairment ( 2.2, 2.3). Fetal Toxicity: Females of reproductive potential: Obtain negative pregnancy test before treatment and monthly thereafter; use effective contraception. Qsymia is available through a limited program under a Risk Evaluation and Mitigation Strategy (REMS) ( 5.1). Increase in Heart Rate: Monitor heart rate in all patients, especially those with cardiac or cerebrovascular disease ( 5.2). Suicidal Behavior and Ideation: Monitor for depression or suicidal thoughts. Discontinue Qsymia if symptoms develop ( 5.3). Acute Myopia and Secondary Angle Closure Glaucoma: Discontinue Qsymia ( 5.4). Mood and Sleep Disorders: Consider dose reduction or withdrawal for clinically significant or persistent symptoms ( 5.5). Cognitive Impairment: May cause disturbances in attention or memory. Caution patients about operating automobiles or hazardous machinery when starting treatment ( 5.6). Metabolic Acidosis: Measure electrolytes before/during treatment ( 5.7). Elevated Creatinine: Measure creatinine before/during treatment ( 5.8). Use of Antidiabetic Medications: Weight loss may cause hypoglycemia. Measure serum glucose before/during treatment ( 5.9). Most common adverse reactions (incidence greater than or equal to 5% and at a rate at least 1.5 times placebo) are: paraesthesia, dizziness, dysgeusia, insomnia, constipation, and dry mouth ( 6.1). To report SUSPECTED ADVERSE REACTIONS, contact VIVUS, Inc., at 1-888-998-4887 or FDA at 1-800-FDA-1088 or www.fda.gov/medwatch. Oral contraceptives: Altered exposure may cause irregular bleeding but not increased risk of pregnancy. Advise patients not to discontinue oral contraceptives if spotting occurs ( 7.2). CNS depressants including alcohol: Potentiate CNS depressant effects. Avoid concomitant use of alcohol ( 7.3). Non-potassium sparing diuretics: May potentiate hypokalemia. Measure potassium before/during treatment ( 7.4). Nursing Mothers: Discontinue drug or nursing ( 8.3). Pediatric Use: Safety and effectiveness not established and use not recommended ( 8.4). The effect of Qsymia on cardiovascular morbidity and mortality has not been established. The safety and effectiveness of Qsymia in combination with other products intended for weight loss, including prescription and over-the-counter drugs and herbal preparations have not been established. Take Qsymia once daily in the morning with or without food. Avoid dosing with Qsymia in the evening due to the possibility of insomnia. Start treatment with Qsymia 3.75 mg/23 mg (phentermine 3.75 mg/topiramate 23 mg extended-release) daily for 14 days; after 14 days increase to the recommended dose of Qsymia 7.5 mg/46 mg (phentermine 7.5 mg/topiramate 46 mg extended-release) once daily. Evaluate weight loss after 12 weeks of treatment with Qsymia 7.5 mg/46 mg. If a patient has not lost at least 3% of baseline body weight on Qsymia 7.5 mg/46 mg, discontinue Qsymia or escalate the dose, as it is unlikely that the patient will achieve and sustain clinically meaningful weight loss at the Qsymia 7.5 mg/46 mg dose. To escalate the dose: Increase to Qsymia 11.25 mg/69 mg (phentermine 11.25 mg/topiramate 69 mg extended-release) daily for 14 days; followed by dosing Qsymia 15 mg/92 mg (phentermine 15 mg/topiramate 92 mg extended-release) once daily. Evaluate weight loss following dose escalation to Qsymia 15 mg/92 mg after an additional 12 weeks of treatment. If a patient has not lost at least 5% of baseline body weight on Qsymia 15 mg/92 mg, discontinue Qsymia as directed, as it is unlikely that the patient will achieve and sustain clinically meaningful weight loss with continued treatment. Qsymia 3.75 mg/23 mg and Qsymia 11.25 mg/69 mg are for titration purposes only. Known hypersensitivity or idiosyncrasy to the sympathomimetic amines [see Adverse Reactions (6.2)]. Qsymia can cause fetal harm. Data from pregnancy registries and epidemiology studies indicate that a fetus exposed to topiramate, a component of Qsymia, in the first trimester of pregnancy has an increased risk of oral clefts (cleft lip with or without cleft palate). If Qsymia is used during pregnancy or if a patient becomes pregnant while taking Qsymia, treatment should be discontinued immediately, and the patient should be apprised of the potential hazard to a fetus. Females of reproductive potential should have a negative pregnancy test before starting Qsymia and monthly thereafter during Qsymia therapy. Females of reproductive potential should use effective contraception during Qsymia therapy [see Use in Specific Populations (8.1) and (8.6)] . Because of the teratogenic risk associated with Qsymia therapy, Qsymia is available through a limited program under the REMS. Under the Qsymia REMS, only certified pharmacies may distribute Qsymia. Further information, is available at www.QsymiaREMS.com or by telephone at 1-888-998-4887. Qsymia can cause an increase in resting heart rate. A higher percentage of Qsymia-treated overweight and obese adults experienced heart rate increases from baseline of more than 5, 10, 15, and 20 beats per minute (bpm) compared to placebo-treated overweight and obese adults. Table 2 provides the numbers and percentages of patients with elevations in heart rate in clinical studies of up to one year. The clinical significance of a heart rate elevation with Qsymia treatment is unclear, especially for patients with cardiac and cerebrovascular disease (such as patients with a history of myocardial infarction or stroke in the previous 6 months, life-threatening arrhythmias, or congestive heart failure). Regular measurement of resting heart rate is recommended for all patients taking Qsymia, especially patients with cardiac or cerebrovascular disease or when initiating or increasing the dose of Qsymia. Qsymia has not been studied in patients with recent or unstable cardiac or cerebrovascular disease and therefore use is not recommended. Patients should inform healthcare providers of palpitations or feelings of a racing heartbeat while at rest during Qsymia treatment. For patients who experience a sustained increase in resting heart rate while taking Qsymia, the dose should be reduced or Qsymia discontinued. Antiepileptic drugs (AEDs), including topiramate, a component of Qsymia, increase the risk of suicidal thoughts or behavior in patients taking these drugs for any indication. Patients treated with Qsymia should be monitored for the emergence or worsening of depression, suicidal thoughts or behavior, and/or any unusual changes in mood or behavior. Discontinue Qsymia in patients who experience suicidal thoughts or behaviors. Avoid Qsymia in patients with a history of suicidal attempts or active suicidal ideation. Pooled analyses of 199 placebo-controlled clinical studies (monotherapy and adjunctive therapy, median treatment duration 12 weeks) of 11 different AEDs across several indications showed that patients randomized to one of the AEDs had approximately twice the risk (adjusted Relative Risk 1.8, 95% Confidence Interval [CI] 1.2, 2.7) of suicidal thinking or behavior compared to patients randomized to placebo. The estimated incidence rate of suicidal behavior or ideation among 27,863 AED-treated patients was 0.43%, compared to 0.24% among 16,029 placebo-treated patients, representing an increase of approximately one case of suicidal thinking or behavior for every 530 patients treated. There were four suicides in AED-treated patients in the trials and none in placebo treated patients, but the number is too small to allow any conclusion about AED effect on suicide. A syndrome consisting of acute myopia associated with secondary angle closure glaucoma has been reported in patients treated with topiramate, a component of Qsymia. Symptoms include acute onset of decreased visual acuity and/or ocular pain. Ophthalmologic findings can include myopia, anterior chamber shallowing, ocular hyperemia (redness), and increased intraocular pressure. Mydriasis may or may not be present. This syndrome may be associated with supraciliary effusion resulting in anterior displacement of the lens and iris, with secondary angle closure glaucoma. Symptoms typically occur within 1 month of initiating treatment with topiramate but may occur at any time during therapy. The primary treatment to reverse symptoms is immediate discontinuation of Qsymia. Elevated intraocular pressure of any etiology, if left untreated, can lead to serious adverse events including permanent loss of vision. Qsymia can cause mood disorders, including depression, and anxiety, as well as insomnia. Patients with a history of depression may be at increased risk of recurrent depression or other mood disorders while taking Qsymia. The majority of these mood and sleep disorders resolved spontaneously, or resolved upon discontinuation of dosing [see Adverse Reactions (6.1)]. For clinically significant or persistent symptoms consider dose reduction or withdrawal of Qsymia. If patients have symptoms of suicidal ideation or behavior, discontinue Qsymia. Qsymia can cause cognitive dysfunction (e.g., impairment of concentration/attention, difficulty with memory, and speech or language problems, particularly word-finding difficulties). Rapid titration or high initial doses of Qsymia may be associated with higher rates of cognitive events such as attention, memory, and language/word-finding difficulties [see Adverse Reactions (6.1)] . Since Qsymia has the potential to impair cognitive function, patients should be cautioned about operating hazardous machinery, including automobiles, until they are reasonably certain Qsymia therapy does not affect them adversely. If cognitive dysfunction persists consider dose reduction or withdrawal of Qsymia for symptoms that are moderate to severe, bothersome, or those which fail to resolve with dose reduction. Hyperchloremic, non-anion gap, metabolic acidosis (decreased serum bicarbonate below the normal reference range in the absence of chronic respiratory alkalosis) has been reported in patients treated with Qsymia [see Adverse Reactions (6.1)]. Conditions or therapies that predispose to acidosis (i.e., renal disease, severe respiratory disorders, status epilepticus, diarrhea, surgery or ketogenic diet) may be additive to the bicarbonate lowering effects of topiramate. Concomitant use of Qsymia and a carbonic anhydrase inhibitor (e.g., zonisamide, acetazolamide, or dichlorphenamide) may increase the severity of metabolic acidosis and may also increase the risk of kidney stone formation. Therefore, if Qsymia is given concomitantly with another carbonic anhydrase inhibitor to a patient with a predisposing condition for metabolic acidosis the patient should be monitored for the appearance or worsening of metabolic acidosis. Some manifestations of acute or chronic metabolic acidosis may include hyperventilation, nonspecific symptoms such as fatigue and anorexia, or more severe sequelae including cardiac arrhythmias or stupor. Chronic, untreated metabolic acidosis may increase the risk for nephrolithiasis or nephrocalcinosis, and may also result in osteomalacia (referred to as rickets in pediatric patients) and/or osteoporosis with an increased risk for fractures. The effect of Qsymia on growth and bone-related sequelae has not been systematically investigated in long-term, placebo-controlled trials. Measurement of electrolytes including serum bicarbonate prior to starting Qsymia and during Qsymia treatment is recommended. In Qsymia clinical trials, the peak reduction in serum bicarbonate occurred by week 4, and in most subjects there was a correction of bicarbonate by week 56, without any change to study drug. However, if persistent metabolic acidosis develops while taking Qsymia, reduce the dose or discontinue Qsymia. Qsymia can cause an increase in serum creatinine that reflects a decrease in renal function (glomerular filtration rate). In phase 3 trials, peak increases in serum creatinine were observed after 4 to 8 weeks of treatment. On average, serum creatinine gradually declined but remained elevated over baseline creatinine values. The changes in serum creatinine (and measured GFR) with short-term Qsymia treatment appear reversible with treatment discontinuation, but the effect of chronic treatment on renal function is not known. Therefore, measurement of serum creatinine prior to starting Qsymia and during Qsymia treatment is recommended. If persistent elevations in creatinine occur while taking Qsymia, reduce the dose or discontinue Qsymia [see Adverse Reactions (6.1), Pharmacodynamics (12.2)]. Weight loss may increase the risk of hypoglycemia in patients with type 2 diabetes mellitus treated with insulin and/or insulin secretagogues (e.g., sulfonylureas). Qsymia has not been studied in combination with insulin. Measurement of blood glucose levels prior to starting Qsymia and during Qsymia treatment is recommended in patients with type 2 diabetes. Decreases in medication doses for antidiabetic medications which are non-glucose-dependent should be considered to mitigate the risk of hypoglycemia. If a patient develops hypoglycemia after starting Qsymia, appropriate changes should be made to the antidiabetic drug regimen. In hypertensive patients being treated with antihypertensive medications, weight loss may increase the risk of hypotension, and associated symptoms including dizziness, lightheadedness, and syncope. Measurement of blood pressure prior to starting Qsymia and during Qsymia treatment is recommended in patients being treated for hypertension. If a patient develops symptoms associated with low blood pressure after starting Qsymia, appropriate changes should be made to the antihypertensive drug regimen. The concomitant use of alcohol or central nervous system (CNS) depressant drugs (e.g., barbiturates, benzodiazepines, and sleep medications) with phentermine or topiramate may potentiate CNS depression or other centrally mediated effects of these agents, such as dizziness, cognitive adverse reactions, drowsiness, light-headedness, impaired coordination and somnolence. Therefore, avoid concomitant use of alcohol with Qsymia. Abrupt withdrawal of topiramate, a component of Qsymia, has been associated with seizures in individuals without a history of seizures or epilepsy. In situations where immediate termination of Qsymia is medically required, appropriate monitoring is recommended. Patients discontinuing Qsymia 15 mg/92 mg should be gradually tapered as recommended to reduce the possibility of precipitating a seizure [see Dosage and Administration (2.1)] . Phentermine and topiramate, the components of Qsymia, are cleared by renal excretion. Therefore, exposure to phentermine and topiramate is higher in patients with moderate (creatinine clearance [CrCl] greater than or equal to 30 and less than 50 mL/min) or severe (CrCl less than 30 mL/min) renal impairment. Adjust dose of Qsymia for both patient populations. Qsymia has not been studied in patients with end-stage renal disease on dialysis. Avoid use of Qsymia in this patient population [see Dosage and Administration (2.2) and Clinical Pharmacology (12.3)] . In patients with mild (Child-Pugh score 5 - 6) or moderate (Child-Pugh score 7 - 9) hepatic impairment, exposure to phentermine was higher compared to healthy volunteers. Adjust dose of Qsymia for patients with moderate hepatic impairment. Qsymia has not been studied in patients with severe hepatic impairment (Child-Pugh score 10 - 15). Avoid use of Qsymia in this patient population [see Dosage and Administration (2.3), and Clinical Pharmacology (12.3)]. Use of Qsymia has been associated with kidney stone formation. Topiramate, a component of Qsymia, inhibits carbonic anhydrase activity and promotes kidney stone formation by reducing urinary citrate excretion and increasing urine pH. Avoid the use of Qsymia with other drugs that inhibit carbonic anhydrase (e.g., zonisamide, acetazolamide, or methazolamide). Use of topiramate by patients on a ketogenic diet may also result in a physiological environment that increases the likelihood of kidney stone formation. Increase fluid intake to increase urinary output which can decrease the concentration of substances involved in kidney stone formation [see Adverse Reactions (6.1)]. Oligohidrosis (decreased sweating), infrequently resulting in hospitalization, has been reported in association with the use of topiramate, a component of Qsymia. Decreased sweating and an elevation in body temperature above normal characterized these cases. Some of the cases have been reported with topiramate after exposure to elevated environmental temperatures. Patients treated with Qsymia should be advised to monitor for decreased sweating and increased body temperature during physical activity, especially in hot weather. Caution should be used when Qsymia is prescribed with other drugs that predispose patients to heat-related disorders; these drugs include, but are not limited to, other carbonic anhydrase inhibitors and drugs with anticholinergic activity. Qsymia can increase the risk of hypokalemia through its inhibition of carbonic anhydrase activity. In addition, when Qsymia is used in conjunction with non-potassium sparing diuretics such as furosemide (loop diuretic) or hydrochlorothiazide (thiazide-like diuretic) this may further potentiate potassium-wasting. When prescribing Qsymia, patients should be monitored for hypokalemia [see Adverse Reactions (6.1) and Clinical Pharmacology (12.3)] . Qsymia was associated with changes in several clinical laboratory analytes in randomized, double-blind, placebo-controlled studies. Obtain a blood chemistry profile that includes bicarbonate, creatinine, potassium, and glucose at baseline and periodically during treatment [s ee Warnings and Precautions (5.7), (5.8), (5.9), and (5.17)]. Because clinical trials are conducted under widely varying conditions, adverse reaction rates observed in the clinical trials of a drug cannot be directly compared to rates in the clinical studies of another drug and may not reflect the rates observed in practice. The data described herein reflects exposure to Qsymia in two, 1-year, randomized, double-blind, placebo-controlled, multicenter clinical trials, and two Phase 2 supportive trials in 2318 adult patients (936 [40.4%] patients with hypertension, 309 [13.3%] patients with type 2 diabetes, 808 [34.9%] patients with BMI greater than 40 kg/m 2) exposed for a mean duration of 298 days. Common Adverse Reactions: Adverse reactions occurring at a rate of greater than or equal to 5% and at a rate at least 1.5 times placebo include paraesthesia, dizziness, dysgeusia, insomnia, constipation, and dry mouth. Adverse reactions reported in greater than or equal to 2% of Qsymia-treated patients and more frequently than in the placebo group are shown in Table 3. Reports of paraesthesia, characterized as tingling in hands, feet, or face, occurred in 4.2%, 13.7%, and 19.9% of patients treated with Qsymia 3.75 mg/23 mg, 7.5 mg/46 mg, and 15 mg/92 mg, respectively, compared to 1.9% of patients treated with placebo. Dysgeusia was characterized as a metallic taste, and occurred in 1.3%, 7.4%, and 9.4% of patients treated with Qsymia 3.75 mg/23 mg, 7.5 mg/46 mg, and 15 mg/92 mg, respectively, compared to 1.1% of patients treated with placebo. The majority of these events first occurred within the initial 12 weeks of drug therapy; however, in some patients, events were reported later in the course of treatment. Only Qsymia-treated patients discontinued treatment due to these events (1% for paraesthesia and 0.6% for dysgeusia). The proportion of patients in 1-year controlled trials of Qsymia reporting one or more adverse reactions related to mood and sleep disorders was 15.8%, 14.5%, and 20.6% with Qsymia 3.75 mg/23 mg, 7.5 mg/46 mg, and 15 mg/92 mg, respectively, compared to 10.3% with placebo. These events were further categorized into sleep disorders, anxiety, and depression. Reports of sleep disorders were typically characterized as insomnia, and occurred in 6.7%, 8.1%, and 11.1% of patients treated with Qsymia 3.75 mg/23 mg, 7.5 mg/46 mg, and 15 mg/92 mg, respectively, compared to 5.8% of patients treated with placebo. Reports of anxiety occurred in 4.6%, 4.8%, and 7.9% of patients treated with Qsymia 3.75 mg/23 mg, 7.5 mg/46 mg, and 15 mg/92 mg, respectively, compared to 2.6% of patients treated with placebo. Reports of depression/mood problems occurred in 5.0%, 3.8%, and 7.6% of patients treated with Qsymia 3.75 mg/23 mg, 7.5 mg/46 mg, and 15 mg/92 mg, respectively, compared to 3.4% of patients treated with placebo. The majority of these events first occurred within the initial 12 weeks of drug therapy; however, in some patients, events were reported later in the course of treatments. In the Qsymia clinical trials, the overall prevalence of mood and sleep adverse reactions was approximately twice as great in patients with a history of depression compared to patients without a history of depression; however, the proportion of patients on active treatment versus placebo who reported mood and sleep adverse reactions was similar in these two subgroups. Occurrence of depression-related events was more frequent in patients with a past history of depression across all treatment groups. However, the placebo-adjusted difference in incidence of these events remained constant between groups regardless of previous depression history. In the 1-year controlled trials of Qsymia, the proportion of patients who experienced one or more cognitive-related adverse reactions was 2.1% for Qsymia 3.75 mg/23 mg, 5.0% for Qsymia 7.5 mg/46 mg, and 7.6% for Qsymia 15 mg/92 mg, compared to 1.5% for placebo. These adverse reactions were comprised primarily of reports of problems with attention/concentration, memory, and language (word finding). These events typically began within the first 4 weeks of treatment, had a median duration of approximately 28 days or less, and were reversible upon discontinuation of treatment; however, individual patients did experience events later in treatment, and events of longer duration. In the 1-year controlled trials of Qsymia, the incidence of persistent treatment-emergent decreases in serum bicarbonate below the normal range (levels of less than 21 mEq/L at 2 consecutive visits or at the final visit) was 8.8% for Qsymia 3.75 mg/23 mg, 6.4% for Qsymia 7.5 mg/46 mg, and 12.8% for Qsymia 15 mg/92 mg, compared to 2.1% for placebo. The incidence of persistent, markedly low serum bicarbonate values (levels of less than 17 mEq/L on 2 consecutive visits or at the final visit) was 1.3% for Qsymia 3.75 mg/23 mg, 0.2% for Qsymia 7.5 mg/46 mg dose, and 0.7% for Qsymia 15 mg/92 mg dose, compared to 0.1% for placebo. Generally, decreases in serum bicarbonate levels were mild (average 1-3 mEq/L) and occurred early in treatment (4-week visit), however severe decreases and decreases later in treatment occurred. In the 1-year controlled trials of Qsymia, the incidence of persistent low serum potassium values (less than 3.5 mEq/L at two consecutive visits or at the final visit) during the trial was 0.4% for Qsymia 3.75 mg/23 mg, 3.6% for Qsymia 7.5 mg/46 mg dose, and 4.9% for Qsymia 15 mg/92 mg, compared to 1.1% for placebo. Of the subjects who experienced persistent low serum potassium, 88% were receiving treatment with a non-potassium sparing diuretic. The incidence of markedly low serum potassium (less than 3 mEq/L, and a reduction from pre-treatment of greater than 0.5 mEq/L) at any time during the trial was 0.0% for Qsymia 3.75 mg/23 mg, 0.2% for Qsymia 7.5 mg/46 mg dose, and 0.7% for Qsymia 15 mg/92 mg dose, compared to 0.0% for placebo. Persistent markedly low serum potassium (less than 3 mEq/L, and a reduction from pre-treatment of greater than 0.5 mEq/L at two consecutive visits or at the final visit) occurred in 0.0% of subjects receiving Qsymia 3.75 mg/23 mg, 0.2% receiving Qsymia 7.5 mg/46 mg dose, and 0.1% receiving Qsymia 15 mg/92 mg dose, compared to 0.0% receiving placebo. Hypokalemia was reported by 0.4% of subjects treated with Qsymia 3.75 mg/23 mg, 1.4% of subjects treated with Qsymia 7.5 mg/46 mg, and 2.5% of subjects treated with Qsymia 15 mg/92 mg compared to 0.4% of subjects treated with placebo. "Blood potassium decreased" was reported by 0.4% of subjects treated with Qsymia 3.75 mg/23 mg, 0.4% of subjects treated with Qsymia 7.5 mg/46 mg, 1.0% of subjects treated with Qsymia 15 mg/92 mg, and 0.0% of subjects treated with placebo. In the 1-year controlled trials of Qsymia, there was a dose-related increase from baseline, peaking between Week 4 to 8, which declined but remained elevated over baseline over 1 year of treatment. The incidence of increases in serum creatinine of greater than or equal to 0.3 mg/dL at any time during treatment was 2.1% for Qsymia 3.75 mg/23 mg, 7.2% for Qsymia 7.5 mg/46 mg, and 8.4% for Qsymia 15 mg/92 mg, compared to 2.0% for placebo. Increases in serum creatinine of greater than or equal to 50% over baseline occurred in 0.8% of subjects receiving Qsymia 3.75 mg/23 mg, 2.0% receiving Qsymia 7.5 mg/46 mg, and 2.8% receiving Qsymia 15 mg/92 mg, compared to 0.6% receiving placebo. In the 1-year controlled trials of Qsymia, the incidence of nephrolithiasis was 0.4% for Qsymia 3.75 mg/23 mg, 0.2% for Qsymia 7.5 mg/46 mg, and 1.2% for Qsymia 15 mg/92 mg, compared to 0.3% for placebo. In the 1-year placebo-controlled clinical studies, 11.6% of Qsymia 3.75 mg/23 mg, 11.6% of Qsymia 7.5 mg/46 mg, 17.4% of Qsymia 15 mg/92 mg, and 8.4% of placebo-treated patients discontinued treatment due to reported adverse reactions. The most common adverse reactions that led to discontinuation of treatment are shown in Table 4. The following adverse reactions have been reported during post approval use of phentermine and topiramate, the components of Qsymia. Because these reactions are reported voluntarily from a population of uncertain size it is not always possible to reliably estimate their frequency or establish a causal relationship to drug exposure. Use of phentermine is contraindicated during or within 14 days following the administration of monoamine oxidase inhibitors because of the risk of hypertensive crisis. Co-administration of multiple-dose Qsymia 15 mg/92 mg once daily with a single dose of oral contraceptive containing 35 µg ethinyl estradiol (estrogen component) and 1 mg norethindrone (progestin component), in obese otherwise healthy volunteers, decreased the exposure of ethinyl estradiol by 16% and increased the exposure of norethindrone by 22% [see Clinical Pharmacology (12.3)] . Although this study did not specifically address the impact of the interaction on contraceptive efficacy, an increased risk of pregnancy is not anticipated. The primary determinant of contraceptive efficacy is the progestin component of the combination oral contraceptive, so higher exposure to the progestin would not be expected to be deleterious. However, irregular bleeding (spotting) may occur more frequently due to both the increased exposure to the progestin and lower exposure to the estrogen, which tends to stabilize the endometrium. Patients should be informed not to discontinue their combination oral contraceptive if spotting occurs, but to notify their healthcare provider if the spotting is troubling to them. Specific drug interaction studies of Qsymia and alcohol or other CNS depressant drugs have not been performed. The concomitant use of alcohol or CNS depressant drugs (e.g., barbiturates, benzodiazepines, and sleep medications) with phentermine or topiramate may potentiate CNS depression such as dizziness or cognitive adverse reactions, or other centrally mediated effects of these agents. Therefore, if Qsymia is used with alcohol or other CNS depressants, the patient should be counseled regarding possible increased risk of CNS depression or side effects. Concurrent use of Qsymia with non-potassium sparing diuretics may potentiate the potassium-wasting action of these diuretics. Concomitant administration of hydrochlorothiazide alone with topiramate alone has been shown to increase the C max and AUC of topiramate by 27% and 29%, respectively. When prescribing Qsymia in the presence of non-potassium-sparing medicinal products, patients should be monitored for hypokalemia [see Warnings and Precautions (5.17) and Clinical Pharmacology (12.3)] . Concomitant administration of phenytoin or carbamazepine with topiramate in patients with epilepsy, decreased plasma concentrations of topiramate by 48% and 40%, respectively, when compared to topiramate given alone [see Clinical Pharmacology (12.3)] . Concomitant administration of valproic acid and topiramate has been associated with hyperammonemia with and without encephalopathy. Concomitant administration of topiramate with valproic acid in patients has also been associated with hypothermia (with and without hyperammonemia). It may be prudent to examine blood ammonia in patients in whom the onset of hypothermia or encephalopathy has been reported [see Clinical Pharmacology (12.3)] . Concomitant use of topiramate, a component of Qsymia, with any other carbonic anhydrase inhibitor (e.g., zonisamide, acetazolamide, or dichlorphenamide) may increase the severity of metabolic acidosis and may also increase the risk of kidney stone formation. Avoid the use of Qsymia with other drugs that inhibit carbonic anhydrase [see Warnings and Precautions (5.7)] . A decrease in the exposure of pioglitazone and its active metabolites were noted with the concurrent use of pioglitazone and topiramate in a clinical trial. The clinical relevance of these observations is unknown; however, when Qsymia is added to pioglitazone therapy or pioglitazone is added to Qsymia therapy, careful attention should be given to the routine monitoring of patients for adequate control of their diabetic disease state [see Clinical Pharmacology (12.3)] . Qsymia is contraindicated in pregnant women. The use of Qsymia can cause fetal harm and weight loss offers no potential benefit to a pregnant woman. Available epidemiologic data indicate an increased risk in oral clefts (cleft lip with or without cleft palate) with first trimester exposure to topiramate, a component of Qsymia. When multiple species of pregnant animals received topiramate at clinically relevant doses, structural malformations, including craniofacial defects, and reduced fetal weights occurred in offspring. If this drug is used during pregnancy, or if a patient becomes pregnant while taking this drug, treatment should be discontinued immediately and the patient should be apprised of the potential hazard to a fetus. There is a Qsymia Pregnancy Surveillance Program to monitor maternal-fetal outcomes of pregnancies that occur during Qsymia therapy. Healthcare providers and patients are encouraged to report pregnancies by calling 1-888-998-4887. Oral clefts occur from the fifth through the ninth week of gestation. The lip is formed between the beginning of the fifth week to the seventh week of gestation, and the palate is formed between the beginning of the sixth week through the ninth week of gestation. A minimum weight gain, and no weight loss, is currently recommended for all pregnant women, including those who are already overweight or obese, due to the obligatory weight gain that occurs in maternal tissues during pregnancy. Qsymia can cause metabolic acidosis. The effect of topiramate-induced metabolic acidosis has not been studied in pregnancy; however, metabolic acidosis in pregnancy (due to other causes) can cause decreased fetal growth, decreased fetal oxygenation, and fetal death, and may affect the fetus' ability to tolerate labor [see Warnings and Precautions (5.7)] . Data evaluating the risk of major congenital malformations and oral clefts with topiramate (a component of Qsymia) exposure during pregnancy is available from the North American Anti-Epileptic Drug (NAAED) Pregnancy Registry and from several larger retrospective epidemiologic studies. The NAAED Pregnancy Registry suggested an estimated increase in risk for oral clefts of 9.60 (95% CI 3.60 - 25.70). Larger retrospective epidemiology studies showed that topiramate monotherapy exposure in pregnancy is associated with an approximately two to five-fold increased risk of oral clefts (Table 5). The FORTRESS study, sponsored by the maker of Qsymia, found an excess risk of 1.5 (95% CI = -1.1 to 4.1) oral cleft cases per 1,000 infants exposed to topiramate during the first trimester. Embryo-fetal development studies have been conducted in rats and rabbits with combination phentermine and topiramate treatment. Phentermine and topiramate co-administered to rats during the period of organogenesis caused reduced fetal body weights but did not cause fetal malformations at the maximum dose of 3.75 mg/kg phentermine and 25 mg/kg topiramate [approximately 2 times the maximum recommended human dose (MRHD) based on area under the curve (AUC) estimates for each active ingredient]. In a similar study in rabbits, no effects on embryo-fetal development were observed at approximately 0.1 times (phentermine) and 1 time (topiramate) clinical exposures at the MRHD based on AUC. Significantly lower maternal body weight gain was recorded at these doses in rats and rabbits. A pre- and post-natal development study was conducted in rats with combination phentermine and topiramate treatment. There were no adverse maternal or offspring effects in rats treated throughout organogenesis and lactation with 1.5 mg/kg/day phentermine and 10 mg/kg/day topiramate (approximately 2 and 3 times clinical exposures at the MRHD, respectively, based on AUC). Treatment with higher doses of 11.25 mg/kg/day phentermine and 75 mg/kg/day topiramate (approximately 5 and 6 times maximum clinical doses based on AUC, respectively) caused reduced maternal body weight gain and offspring toxicity. Offspring effects included lower pup survival after birth, increased limb and tail malformations, reduced pup body weight and delayed growth, development, and sexual maturation without affecting learning, memory, or fertility and reproduction. The limb and tail malformations were consistent with results of animal studies conducted with topiramate alone [see Nonclinical Toxicology (13.3)] . Animal reproduction studies have not been conducted with phentermine. Limited data from studies conducted with the phentermine/topiramate combination indicate that phentermine alone was not teratogenic but resulted in lower body weight and reduced survival of offspring in rats at 5-fold the MRHD of Qsymia, based on AUC. Topiramate causes developmental toxicity, including teratogenicity, at clinically relevant doses [see Nonclinical Toxicology (13.3)] . The effect of Qsymia on labor and delivery in humans is unknown. The development of Qsymia-induced metabolic acidosis in the mother and/or in the fetus might affect the fetus's ability to tolerate labor. Qsymia may be present in human milk because topiramate and amphetamines (phentermine has pharmacologic activity and a chemical structure similar to amphetamines) are excreted in human milk. Because of the potential for serious adverse reactions in nursing infants, a decision should be made whether to discontinue nursing or to discontinue the drug, taking into account the importance of the drug to the mother. Safety and effectiveness of Qsymia in pediatric patients below the age of 18 years have not been established and the use of Qsymia is not recommended in pediatric patients. Serious adverse reactions seen in pediatric patients using topiramate, a component of Qsymia, include acute angle glaucoma, oligohidrosis and hyperthermia, metabolic acidosis, cognitive and neuropsychiatric reactions, hyperammonemia and encephalopathy, and kidney stones. Juvenile animal studies have not been conducted with Qsymia. When topiramate (30, 90, or 300 mg/kg/day) was administered orally to rats during the juvenile period of development (postnatal days 12 to 50), bone growth plate thickness was reduced in males at the highest dose. In the Qsymia clinical trials, a total of 254 (7%) of the patients were 65 years of age and older. No overall differences in safety or effectiveness were observed between these subjects and younger subjects, but greater sensitivity of some older individuals cannot be ruled out. Clinical studies of Qsymia did not include sufficient numbers of subjects aged 65 and over to determine whether they respond differently from younger subjects. In general, dose selection for an elderly patient should be cautious, usually starting at the low end of the dosing range, reflecting the greater frequency of decreased hepatic, renal, or cardiac function, and of concomitant disease or other drug therapy. Qsymia can cause fetal harm. Data from pregnancy registries and epidemiology studies indicate that a fetus exposed to topiramate, a component of Qsymia, in the first trimester of pregnancy has an increased risk of oral clefts (cleft lip with or without cleft palate). Females who become pregnant during Qsymia therapy should stop Qsymia treatment immediately and notify their healthcare provider. Females of reproductive potential should have a negative pregnancy test before starting Qsymia and monthly thereafter during Qsymia therapy. Females of reproductive potential should use effective contraception during Qsymia therapy. Compared to healthy volunteers, patients with moderate and severe renal impairment as estimated by the Cockcroft-Gault equation had higher phentermine and topiramate exposures. No dose adjustments are necessary in patients with mild renal impairment. In patients with moderate (CrCl greater than or equal to 30 to less than 50 mL/min) and severe (CrCl less than 30 mL/min) renal impairment, the dose should not exceed Qsymia 7.5 mg/46 mg once daily. Qsymia has not been studied in patients with end-stage renal disease on dialysis. Avoid Qsymia in this patient population [see Dosage and Administration (2.2) and Clinical Pharmacology (12.3)] . In patients with mild (Child-Pugh 5 - 6) and moderate (Child-Pugh 7 - 9) hepatic impairment, exposure to phentermine was higher compared to healthy volunteers. Exposure to topiramate, a component of Qsymia, was similar among patients with mild and moderate hepatic impairment and healthy volunteers. No dose adjustments are necessary in patients with mild hepatic impairment. In patients with moderate hepatic impairment, the dose should not exceed Qsymia 7.5 mg/46 mg once daily. Qsymia has not been studied in patients with severe hepatic impairment (Child-Pugh score 10 - 15). Avoid Qsymia in this patient population [see Dosage and Administration (2.3) and Clinical Pharmacology (12.3)] . Qsymia is controlled in Schedule IV of the Controlled Substances Act because it contains phentermine a Schedule IV drug. Any material, compound, mixture, or preparation that contains any quantity of phentermine is controlled as a Schedule IV drug. Topiramate is not controlled in the Controlled Substances Act. Phentermine, a component of Qsymia, has a known potential for abuse. Phentermine, a component of Qsymia, is related chemically and pharmacologically to the amphetamines. Amphetamines and other stimulant drugs have been extensively abused and the possibility of abuse of phentermine should be kept in mind when evaluating the desirability of including Qsymia as part of a weight reduction program. Abuse of amphetamines and related drugs (e.g., phentermine) may be associated with impaired control over drug use and severe social dysfunction. There are reports of patients who have increased the dosage of these drugs to many times than recommended. Qsymia has not been systematically studied for its potential to produce physical dependence. Physical dependence is a state that develops as a result of physiological adaptation in response to repeated drug use. Physical dependence manifests by drug-class-specific withdrawal symptoms after abrupt discontinuation or a significant dose reduction of a drug. Limited information on the potential for physical dependence for the individual components of Qsymia is available. For topiramate, abrupt discontinuation has been associated with seizures in patients without a history of seizures or epilepsy. For phentermine, abrupt cessation following prolonged high dosage administration results in extreme fatigue and mental depression; changes are also noted on a sleep electroencephalogram. Thus, in situations where rapid withdrawal of Qsymia is required, appropriate medical monitoring is recommended. In the event of a significant overdose with Qsymia, if the ingestion is recent, the stomach should be emptied immediately by gastric lavage or by induction of emesis. Appropriate supportive treatment should be provided according to the patient's clinical signs and symptoms. Acute overdose of phentermine may be associated with restlessness, tremor, hyperreflexia, rapid respiration, confusion, aggressiveness, hallucinations, and panic states. Fatigue and depression usually follow the central stimulation. Cardiovascular effects include arrhythmia, hypertension or hypotension, and circulatory collapse. Gastrointestinal symptoms include nausea, vomiting, diarrhea, and abdominal cramps. Fatal poisoning usually terminates in convulsions and coma. Manifestations of chronic intoxication with anorectic drugs include severe dermatoses, marked insomnia, irritability, hyperactivity, and personality changes. A severe manifestation of chronic intoxication is psychosis, often clinically indistinguishable from schizophrenia. Management of acute phentermine intoxication is largely symptomatic and includes lavage and sedation with a barbiturate. Acidification of the urine increases phentermine excretion. Intravenous phentolamine has been suggested for possible acute, severe hypertension, if this complicates phentermine overdosage. Topiramate overdose has resulted in severe metabolic acidosis. Other signs and symptoms include convulsions, drowsiness, speech disturbance, blurred vision, diplopia, mentation impaired, lethargy, abnormal coordination, stupor, hypotension, abdominal pain, agitation, dizziness, and depression. The clinical consequences were not severe in most cases, but deaths have been reported after poly-drug overdoses involving gram amounts of topiramate. A patient who ingested a dose between 96 and 110 grams topiramate was admitted to hospital with coma lasting 20 to 24 hours followed by full recovery after 3 to 4 days. Activated charcoal has been shown to adsorb topiramate in vitro. Hemodialysis is an effective means of removing topiramate from the body. Qsymia capsule is a combination oral product comprised of immediate-release phentermine hydrochloride (expressed as the weight of the free base) and extended-release topiramate. Qsymia contains phentermine hydrochloride, a sympathomimetic amine anorectic, and topiramate, a sulfamate-substituted monosaccharide related to fructose antiepileptic drug. Qsymia 15 mg/92 mg (phentermine 15 mg and topiramate 92 mg extended-release) capsules. Each capsule contains the following inactive ingredients: methylcellulose, sucrose, starch, microcrystalline cellulose, ethylcellulose, povidone, gelatin, talc, titanium dioxide, FD&C Blue #1, FD&C Red #3, FD&C Yellow #5 and #6, and pharmaceutical black and white inks. 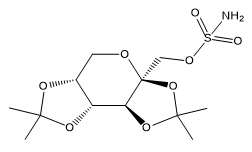 Phentermine is a sympathomimetic amine with pharmacologic activity similar to the prototype drugs of this class used in obesity, amphetamine (d- and d/l-amphetamine). Drugs of this class used in obesity are commonly known as "anorectics" or "anorexigenics." The effect of phentermine on chronic weight management is likely mediated by release of catecholamines in the hypothalamus, resulting in reduced appetite and decreased food consumption, but other metabolic effects may also be involved. The exact mechanism of action is not known. The precise mechanism of action of topiramate on chronic weight management is not known. Topiramate's effect on chronic weight management may be due to its effects on both appetite suppression and satiety enhancement, induced by a combination of pharmacologic effects including augmenting the activity of the neurotransmitter gamma-aminobutyrate, modulation of voltage-gated ion channels, inhibition of AMPA/kainite excitatory glutamate receptors, or inhibition of carbonic anhydrase. Typical actions of amphetamines include central nervous system stimulation and elevation of blood pressure. Tachyphylaxis and tolerance have been demonstrated with all drugs of this class in which these phenomena have been looked for. The effect of Qsymia on the QTc interval was evaluated in a randomized, double-blind, placebo- and active-controlled (400 mg moxifloxacin), and parallel group/crossover thorough QT/QTc study. A total of 54 healthy subjects were administered Qsymia 7.5 mg/46 mg at steady state and then titrated to Qsymia 22.5 mg/138 mg at steady state. Qsymia 22.5 mg/138 mg [a supra-therapeutic dose resulting in a phentermine and topiramate maximum concentration (C max) of 4- and 3- times higher than those at Qsymia 7.5 mg/46 mg, respectively] did not affect cardiac repolarization as measured by the change from baseline in QTc. Upon oral administration of a single Qsymia 15 mg/92 mg, the resulting mean plasma phentermine maximum concentration (C max), time to C max (T max), area under the concentration curve from time zero to the last time with measureable concentration (AUC 0-t), and area under the concentration curve from time zero to infinity (AUC 0-∞) are 49.1 ng/mL, 6 hr, 1990 ng∙hr/mL, and 2000 ng∙hr/mL, respectively. A high fat meal does not affect phentermine pharmacokinetics for Qsymia 15 mg/92 mg. Phentermine pharmacokinetics is approximately dose-proportional from Qsymia 3.75 mg/23 mg to phentermine 15 mg/topiramate 100 mg. Upon dosing phentermine/topiramate 15/100 mg fixed dose combination capsule to steady state, the mean phentermine accumulation ratios for AUC and C max are both approximately 2.5. Upon oral administration of a single Qsymia 15 mg/92 mg, the resulting mean plasma topiramate C max, T max, AUC 0-t, and AUC 0-∞, are 1020 ng/mL, 9 hr, 61600 ng∙hr/mL, and 68000 ng∙hr/mL, respectively. A high fat meal does not affect topiramate pharmacokinetics for Qsymia 15 mg/92 mg. Topiramate pharmacokinetics is approximately dose-proportional from Qsymia 3.75 mg/23 mg to phentermine 15 mg/topiramate 100 mg. Upon dosing phentermine 15 mg/topiramate 100 mg fixed dose combination capsule to steady state, the mean topiramate accumulation ratios for AUC and C max are both approximately 4.0. Phentermine is 17.5% plasma protein bound. The estimated phentermine apparent volume of distribution (Vd/F) is 348 L via population pharmacokinetic analysis. Topiramate is 15 - 41% plasma protein bound over the blood concentration range of 0.5 to 250 µg/mL. The fraction bound decreased as blood topiramate increased. The estimated topiramate Vc/F (volume of the central compartment), and Vp/F (volume of the peripheral compartment) are 50.8 L, and 13.1 L, respectively, via population pharmacokinetic analysis. Phentermine has two metabolic pathways, namely p-hydroxylation on the aromatic ring and N-oxidation on the aliphatic side chain. Cytochrome P450 (CYP) 3A4 primarily metabolizes phentermine but does not show extensive metabolism. Monoamine oxidase (MAO)-A and MAO-B do not metabolize phentermine. Seventy to 80% of a dose exists as unchanged phentermine in urine when administered alone. The mean phentermine terminal half-life is about 20 hours. The estimated phentermine oral clearance (CL/F) is 8.79 L/h via population pharmacokinetic analysis. Topiramate does not show extensive metabolism. Six topiramate metabolites (via hydroxylation, hydrolysis, and glucuronidation) exist, none of which constitutes more than 5% of an administered dose. About 70% of a dose exists as unchanged topiramate in urine when administered alone. The mean topiramate terminal half-life is about 65 hours. The estimated topiramate CL/F is 1.17 L/h via population pharmacokinetic analysis. A single-dose, open-label study was conducted to evaluate the pharmacokinetics of Qsymia 15 mg/92 mg in patients with varying degrees of chronic renal impairment compared to healthy volunteers with normal renal function. The study included patients with renal impairment classified on the basis of creatinine clearance as mild (greater or equal to 50 and less than 80 mL/min), moderate (greater than or equal to 30 and less than 50 mL/min), and severe (less than 30 mL/min). Creatinine clearance was estimated from serum creatinine based on the Cockcroft-Gault equation. Compared to healthy volunteers, phentermine AUC 0-inf was 91%, 45%, and 22% higher in patients with severe, moderate, and mild renal impairment, respectively; phentermine C max was 2% to 15% higher. Compared to healthy volunteers, topiramate AUC 0-inf was 126%, 85%, and 25% higher for patients with severe, moderate, and mild renal impairment, respectively; topiramate C max was 6% to 17% higher. An inverse relationship between phentermine or topiramate C max or AUC and creatinine clearance was observed. Qsymia has not been studied in patients with end-stage renal disease on dialysis [see Dosage and Administration (2.2), Warnings and Precautions (5.13), and Use in Specific Populations (8.7)] . A single-dose, open-label study was conducted to evaluate the pharmacokinetics of Qsymia 15 mg/92 mg in healthy volunteers with normal hepatic function compared with patients with mild (Child-Pugh score 5 - 6) and moderate (Child-Pugh score 7 - 9) hepatic impairment. In patients with mild and moderate hepatic impairment, phentermine AUC was 37% and 60% higher compared to healthy volunteers. Pharmacokinetics of topiramate was not affected in patients with mild and moderate hepatic impairment when compared with healthy volunteers. Qsymia has not been studied in patients with severe hepatic impairment (Child-Pugh score 10 - 15) [see Dosage and Administration (2.3), Warnings and Precautions (5.14), and Use in Specific Populations (8.8)] . Phentermine is not an inhibitor of CYP isozymes CYP1A2, CYP2C9, CYP2C19, CYP2D6, CYP2E1, and CYP3A4, and is not an inhibitor of monoamine oxidases. Phentermine is not an inducer of CYP1A2, CYP2B6, and CYP3A4. Phentermine is not a P-glycoprotein substrate. Topiramate is not an inhibitor of CYP isozymes CYP1A2, CYP2A6, CYP2B6, CYP2C9, CYP2D6, CYP2E1, and CYP3A4/5. However, topiramate is a mild inhibitor of CYP2C19. Topiramate is a mild inducer of CYP3A4. Topiramate is not a P-glycoprotein substrate. A single study examined the effect of multiple-dose Qsymia 15 mg/92 mg once daily on the pharmacokinetics of multiple-dose 500 mg metformin twice daily and multiple-dose 100 mg sitagliptin once daily in 10 men and 10 women (mean BMI of 27.1 kg/m 2 and range of 22.2 – 32.7 kg/m 2). The study participants received metformin, sitagliptin, phentermine/topiramate only, phentermine/topiramate plus probenecid, phentermine/topiramate plus metformin, and phentermine/topiramate plus sitagliptin on Days 1 – 5, 6 – 10, 11 – 28, 29, 30 – 34, and 35 – 39, respectively. The same single study examined the effect of multiple-dose 500 mg metformin twice daily, a single-dose 2 g probenecid, and multiple-dose 100 mg sitagliptin once daily on the pharmacokinetics of multiple-dose phentermine/topiramate 15 mg/92 mg once daily in 10 men and 10 women (mean BMI of 27.1 kg/m 2 and range of 22.2 – 32.7 kg/m 2). The study participants received metformin, sitagliptin, phentermine/topiramate only, phentermine/topiramate plus probenecid, phentermine/topiramate plus metformin, and phentermine/topiramate plus sitagliptin on Days 1 – 5, 6 – 10, 11 – 28, 29, 30 – 34, and 35 – 39, respectively. Potential interactions between topiramate and standard antiepileptic (AED) drugs were assessed in controlled clinical pharmacokinetic studies in patients with epilepsy. The effects of these interactions on mean plasma AUCs are summarized in Table 8. In Table 8, the second column (AED concentration) describes what happens to the concentration of the AED listed in the first column when topiramate is added. The third column (topiramate concentration) describes how the co-administration of a drug listed in the first column modifies the concentration of topiramate in experimental settings when topiramate was given alone. Plasma concentration increased 25% in some patients, generally those on a twice a day dosing regimen of phenytoin. Is not administered but is an active metabolite of carbamazepine. A drug-drug interaction study conducted in healthy volunteers evaluated the steady-state pharmacokinetics of hydrochlorothiazide (HCTZ) (25 mg q24h) and topiramate (96 mg q12h) when administered alone and concomitantly. The results of this study indicate that topiramate C max increased by 27% and AUC increased by 29% when HCTZ was added to topiramate. The clinical significance of this change is unknown. The steady-state pharmacokinetics of HCTZ were not significantly influenced by the concomitant administration of topiramate. Clinical laboratory results indicated decreases in serum potassium after topiramate or HCTZ administration, which were greater when HCTZ and topiramate were administered in combination. A drug-drug interaction study conducted in healthy volunteers evaluated the steady-state pharmacokinetics of topiramate (96 mg twice daily) and pioglitazone (30 mg daily) when administered alone and concomitantly for 7 days. A 15% decrease in the area under the concentration-time curve during a dosage interval at steady state (AUC τ,ss) of pioglitazone with no alteration in maximum steady-state plasma drug concentration during a dosage interval (C max,ss) was observed. This finding was not statistically significant. In addition, a 13% and 16% decrease in C max,ss and AUC τ,ss respectively, of the active hydroxy-metabolite was noted as well as a 60% decrease in C max,ss and AUC τ,ss of the active keto-metabolite. The clinical significance of these findings is not known. A drug-drug interaction study conducted in patients with type 2 diabetes evaluated the steady-state pharmacokinetics of glyburide (5 mg/day) alone and concomitantly with topiramate (150 mg/day). There was a 22% decrease in C max and a 25% reduction in AUC 24 for glyburide during topiramate administration. Systemic exposure (AUC) of the active metabolites, 4- trans-hydroxyglyburide (M1), and 3- cis-hydroxyglyburide (M2), was reduced by 13% and 15%, and C max was reduced by 18% and 25%, respectively. The steady-state pharmacokinetics of topiramate were unaffected by concomitant administration of glyburide. In patients, the pharmacokinetics of lithium were unaffected during treatment with topiramate at doses of 200 mg/day; however, there was an observed increase in systemic exposure of lithium (27% for C max and 26% for AUC) following topiramate doses up to 600 mg/day. Lithium levels should be monitored when co-administered with high-dose topiramate. The pharmacokinetics of a single dose of haloperidol (5 mg) were not affected following multiple dosing of topiramate (100 mg every 12 hours) in 13 healthy adults (6 males, 7 females). There was a 12% increase in AUC and C max for amitriptyline (25 mg per day) in 18 normal subjects (9 males, 9 females) receiving 200 mg/day of topiramate. Some subjects may experience a large increase in amitriptyline concentration in the presence of topiramate and any adjustments in amitriptyline dose should be made according to the patient's clinical response and not on the basis of plasma levels. When administered concomitantly with topiramate at escalating doses of 100, 250, and 400 mg/day, there was a reduction in risperidone systemic exposure (16% and 33% for steady-state AUC at the 250 and 400 mg/day doses of topiramate). No alterations of 9-hydroxyrisperidone levels were observed. Co-administration of topiramate 400 mg/day with risperidone resulted in a 14% increase in C max and a 12% increase in AUC 12 of topiramate. There were no clinically significant changes in the systemic exposure of risperidone plus 9-hydroxyrisperidone or of topiramate; therefore, this interaction is not likely to be of clinical significance. Co-administration of diltiazem (240 mg Cardizem CD ®) with topiramate (150 mg/day) resulted in a 10% decrease in C max and a 25% decrease in diltiazem AUC, a 27% decrease in C max and an 18% decrease in des-acetyl diltiazem AUC, and no effect on N-desmethyl diltiazem. Co-administration of topiramate with diltiazem resulted in a 16% increase in C max and a 19% increase in AUC 12 of topiramate. Multiple dosing of topiramate (150 mg/day) in healthy volunteers did not affect the pharmacokinetics of venlafaxine or O-desmethyl venlafaxine. Multiple dosing of venlafaxine (150 mg extended release) did not affect the pharmacokinetics of topiramate. No animal studies have been conducted with phentermine/topiramate, the combined products in Qsymia, to evaluate carcinogenesis, mutagenesis, or impairment of fertility. The following data are based on findings in studies performed individually with phentermine or topiramate, Qsymia's two active ingredients. Phentermine was not mutagenic or clastogenic with or without metabolic activation in the Ames bacterial mutagenicity assay, a chromosomal aberration test in Chinese hamster lung (CHL-K1) cells, or an in vivo micronucleus assay. Rats were administered oral doses of 3, 10, and 30 mg/kg/day phentermine for 2 years. There was no evidence of carcinogenicity at the highest dose of phentermine (30 mg/kg) which is approximately 11 to 15 times the maximum recommended clinical dose of Qsymia 15 mg/92 mg based on AUC exposure. No animal studies have been conducted with phentermine to determine the potential for impairment of fertility. An increase in urinary bladder tumors was observed in mice given topiramate (20, 75, and 300 mg/kg) in the diet for 21 months. The elevated bladder tumor incidence, which was statistically significant in males and females receiving 300 mg/kg, was primarily due to the increased occurrence of a smooth muscle tumor considered histomorphologically unique to mice. Plasma exposures in mice receiving 300 mg/kg were approximately 2 to 4 times steady-state exposures measured in patients receiving topiramate monotherapy at the MRHD of Qsymia 15 mg/92 mg. The relevance of this finding to human carcinogenic risk is uncertain. No evidence of carcinogenicity was seen in rats following oral administration of topiramate for 2 years at doses up to 120 mg/kg (approximately 4 to 10 times the MRHD of Qsymia based on AUC estimates). No adverse effects on male or female fertility were observed in rats at doses up to 100 mg/kg or approximately 4 to 8 times male and female MRHD exposures of Qsymia based on AUC. Topiramate, a component of Qsymia, causes developmental toxicity, including teratogenicity, in multiple animal species at clinically relevant doses. When oral doses of 20, 100, or 500 mg/kg were administered to pregnant mice during the period of organogenesis, the incidence of fetal malformations (primarily craniofacial defects) was increased at all doses. The low dose of topiramate in this study (20 mg/kg) is approximately 2 times the MRHD of topiramate in Qsymia 15 mg/92 mg on a mg/m 2 basis. Fetal body weights and skeletal ossification were reduced at 500 mg/kg in conjunction with decreased maternal body weight gain. In rat studies (oral doses of 20, 100, and 500 mg/kg or 0.2, 2.5, 30, and 400 mg/kg), the frequency of limb malformations (ectrodactyly, micromelia, and amelia) was increased among the offspring of dams treated with 400 mg/kg (34 times the MRHD of Qsymia based on AUC estimates) or greater during the organogenesis period of pregnancy. Embryotoxicity (reduced fetal body weights, increased incidence of structural variations) was observed at doses as low as 20 mg/kg (2 times the MRHD of Qsymia based on estimated AUC). Clinical signs of maternal toxicity were seen at 400 mg/kg and above, and maternal body weight gain was reduced during treatment with 100 mg/kg or greater. In rabbit studies (20, 60, and 180 mg/kg or 10, 35, and 120 mg/kg orally during organogenesis), embryo/fetal mortality was increased at 35 mg/kg (2 times the MRHD based on estimated AUC) or greater, and teratogenic effects (primarily rib and vertebral malformations) were observed at 120 mg/kg (6 times the MRHD of Qsymia based on estimated AUC). Evidence of maternal toxicity (decreased body weight gain, clinical signs, and/or mortality) was seen at 35 mg/kg and above. When female rats were treated during the latter part of gestation and throughout lactation (0.2, 4, 20, and 100 mg/kg or 2, 20, and 200 mg/kg), offspring exhibited decreased viability and delayed physical development at 200 mg/kg (16 times the MRHD of Qsymia based on estimated AUC) and reductions in pre-and/or post-weaning body weight gain at 2 mg/kg (2 times the MRHD of Qsymia based on estimated AUC) and above. Maternal toxicity (decreased body weight gain, clinical signs) was evident at 100 mg/kg or greater. In a rat embryo/fetal development study with a postnatal component (0.2, 2.5, 30, or 400 mg/kg during organogenesis; noted above), pups exhibited delayed physical development at 400 mg/kg (34 times the MRHD of Qsymia based on estimated AUC) and persistent reductions in body weight gain at 30 mg/kg (2 times the MRHD of Qsymia based on estimated AUC) and higher. The effect of Qsymia on weight loss in conjunction with reduced caloric intake and increased physical activity was studied in 2 randomized, double-blind, placebo-controlled studies in obese patients (Study 1) and in obese and overweight patients with two or more significant co-morbidities (Study 2). Both studies had a 4-week titration period, followed by 52 weeks of treatment. There were 2 co-primary efficacy outcomes measured after 1 year of treatment (Week 56): 1) the percent weight loss from baseline; and 2) treatment response defined as achieving at least 5% weight loss from baseline. In Study 1, obese patients (BMI greater than or equal to 35 kg/m 2) were randomized to receive 1 year of treatment with placebo (N=514), Qsymia 3.75 mg/23 mg (N=241), or Qsymia 15 mg/92 mg (N=512) in a 2:1:2 ratio. Patients ranged in age from 18-71 years old (mean age 43) and 83% were female. Approximately 80% were Caucasian, 18% were African American, and 15% were Hispanic/Latino. At the beginning of the study the average weight and BMI of patients was 116 kg and 42 kg/m 2, respectively. Patients with type 2 diabetes were excluded from participating in Study 1. During the study, a well-balanced, reduced-calorie diet to result in an approximate 500 kcal/day decrease in caloric intake was recommended to all patients and patients were offered nutritional and lifestyle modification counseling. Waist circumference greater than or equal to 102 cm for men or greater than or equal to 88 cm for women. Patients ranged in age from 19-71 years old (mean age 51) and 70% were female. Approximately 86% were Caucasian, 12% were African American, and 13% were Hispanic/Latino. The average weight and BMI of patients at the start of the study was 103 kg and 36.6 kg/m 2, respectively. Approximately half (53%) of patients had hypertension at the start of the study. There were 388 (16%) patients with type 2 diabetes at the start of the study. During the study, a well-balanced, reduced-calorie diet to result in an approximate 500 kcal/day decrease in caloric intake was recommended to all patients and patients were offered nutritional and lifestyle modification counseling. A substantial percentage of randomized patients withdrew from each study prior to week 56, 40% in Study 1, and 31% in Study 2. Table 9 provides the results for the weight loss at 1 year in Studies 1 and 2. After 1 year of treatment with Qsymia, all dose levels resulted in statistically significant weight loss compared to placebo (Table 9, Figures 1 and 2). A statistically significant greater proportion of the patients randomized to Qsymia than placebo achieved 5% and 10% weight loss. Type 1 error was controlled across all pairwise treatment comparisons. Uses all available data from subjects in ITT population, including data collected from subjects who discontinued drug but remained on study. Last Observation Carried Forward (LOCF) method used to impute missing data. 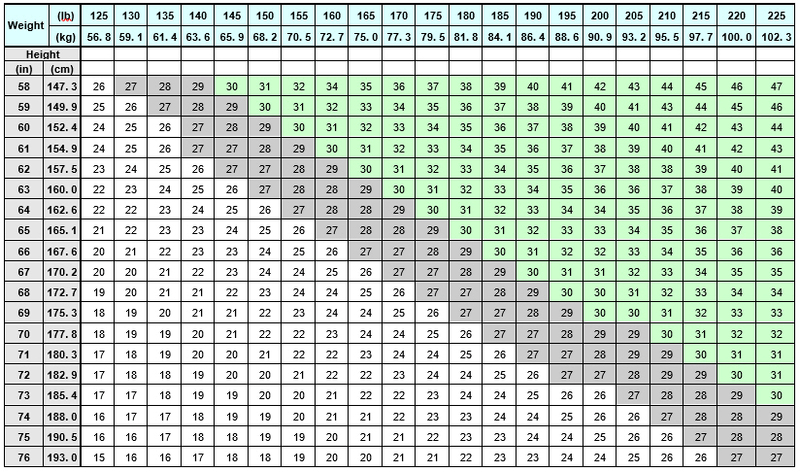 Adjusted for baseline bodyweight (Study 1) and baseline bodyweight and diabetic status (Study 2). p < 0.0001 vs. placebo based on least-squares (LS) mean from an analysis of covariance. p < 0.01 vs. 3.75 mg/23 mg (Study 1) or 7.5 mg/46 mg (Study 2) dose. The changes in cardiovascular, metabolic, and anthropometric risk factors associated with obesity from Study 1 and 2 are presented in Table 10 and 11. One year of therapy with Qsymia resulted in relative improvement over placebo in several risk factors associated with obesity with the exception of heart rate [see Warnings and Precautions (5.2)] . Among the 388 subjects with type 2 diabetes treated in study 2, reductions in HbA1c from baseline (6.8%) were 0.1% for placebo compared to 0.4% and 0.4% with Qsymia 7.5 mg/46 mg and Qsymia 15 mg/92 mg, respectively [see Warnings and Precautions (5.9)] . Store at controlled room temperature, 15°C to 25°C (59°F to 77°F). Keep container tightly closed and protect from moisture. Qsymia is indicated for chronic weight management in conjunction with a reduced-calorie diet and increased physical activity. Qsymia is only available through certified pharmacies that are enrolled in the Qsymia certified pharmacy network. Advise patients on how to access Qsymia through certified pharmacies. Additional information may be obtained via the website www.QsymiaREMS.com or by telephone at 1-888-998-4887 . Advise patients to tell healthcare provider(s) about all medications, nutritional supplements, and vitamins (including any weight loss products) that are being taken or may be taken while on Qsymia. Advise patients to take Qsymia in the morning with or without food. Advise patients to discontinue the Qsymia 15 mg/92 mg dose gradually by taking one Qsymia 15 mg/92 mg capsule every other day for at least one week before stopping in order to avoid a seizure. Pregnancy testing is recommended before starting Qsymia and monthly thereafter during therapy. Advise patients about effective methods of contraception, as well as the importance of using effective contraception consistently during Qsymia therapy. Advise females who become pregnant during Qsymia therapy to stop Qsymia immediately and tell their healthcare provider(s). Either discontinue nursing or discontinue Qsymia [see Use in Specific Populations (8.3)]. Qsymia can increase resting heart rate [see Warnings and Precautions (5.2)]. Advise patients to report symptoms of sustained periods of heart pounding or racing while at rest to their health care provider(s). Qsymia can increase the risk of mood changes, depression, and suicidal ideation [see Warnings and Precautions (5.5)]. Advise patients to tell their healthcare provider(s) immediately if mood changes, depression, and suicidal ideation occur. Qsymia can increase the risk of acute myopia and secondary angle closure glaucoma [see Warnings and Precautions (5.4)] . Advise patients to report symptoms of severe and persistent eye pain or significant changes in their vision to their healthcare provider(s). Qsymia can cause dizziness, confusion, concentration, and word-finding difficulties, or visual changes [see Warnings and Precautions (5.6)] . Advise patients to tell their healthcare provider(s) about any changes in attention, concentration, memory, and/or difficulty finding words. Advise patients not to drive or operate machinery until they have gained sufficient experience on Qsymia to gauge whether it adversely affects their mental performance, motor performance, and/or vision. Qsymia can increase the risk of metabolic acidosis [see Warnings and Precautions (5.7)]. Advise patients to tell their healthcare provider(s) about any factors that can increase the risk of acidosis (e.g. prolonged diarrhea, surgery, and high protein/low carbohydrate diet, and/or concomitant medications such as carbonic anhydrase inhibitors). Weight loss may increase the risk of hypoglycemia in patients with type 2 diabetes mellitus treated with insulin and/or insulin secretagogues (e.g., sulfonylureas) [see Warnings and Precautions (5.9)] . The concomitant use of alcohol or central nervous system (CNS) depressant drugs (e.g., barbiturates, benzodiazepines, and sleep medications) with phentermine or topiramate may potentiate CNS depression or other centrally mediated effects of these agents, such as dizziness, cognitive adverse reactions, drowsiness, light-headedness, impaired coordination and somnolence [see Warnings and Precautions (5.11)] . Advise patients not to drink alcohol while taking Qsymia. Abrupt withdrawal of topiramate, a component of Qsymia, has been associated with seizures in individuals without a history of seizures or epilepsy. Use of Qsymia has been associated with kidney stone formation [see Warnings and Precautions (5.15) and Adverse Reactions (6.1)] . Advise patients to increase fluid intake to increase urinary output which can decrease the concentration of substances involved in kidney stone formation. Advise patients to report symptoms of severe side or back pain, and/or blood in their urine to their healthcare provider(s) . Oligohidrosis (decreased sweating) has been reported in association with the use of topiramate, a component of Qsymia. Decreased sweating and an elevation in body temperature above normal characterized these cases. Advise patients to monitor for decreased sweating and increased body temperature during physical activity, especially in hot weather. Copyright © 2012 - 2017 VIVUS, Inc. All rights reserved. Qsymia is a registered trademark of VIVUS, Inc.
Read this Medication Guide before you start taking Qsymia and each time you get a refill. There may be new information. This information does not take the place of talking to your healthcare provider about your medical condition or treatment. If you have any questions about Qsymia, talk to your healthcare provider or pharmacist. What is the most important information I should know about Qsymia? Birth defects (cleft lip/cleft palate). If you take Qsymia during pregnancy, your baby has a higher risk for birth defects called cleft lip and cleft palate. These defects can begin early in pregnancy, even before you know you are pregnant. Women who are pregnant must not take Qsymia. Have a negative pregnancy test before taking Qsymia and every month while taking Qsymia. Use effective birth control (contraception) consistently while taking Qsymia. Talk to your healthcare provider about how to prevent pregnancy. Suicidal thoughts or actions. Topiramate, an ingredient in Qsymia, may cause you to have suicidal thoughts or actions. These problems can lead to permanent vision loss if not treated. Tell your healthcare provider right away if you have any new eye symptoms. Qsymia is a prescription medicine that contains phentermine and topiramate extended-release that may help some obese adults or some overweight adults who also have weight-related medical problems lose weight and keep the weight off. Qsymia should be used with a reduced calorie diet and increased physical activity. It is not known if Qsymia changes your risk of heart problems or stroke or of death due to heart problems or stroke. It is not known if Qsymia is safe and effective when taken with other prescription, over-the-counter, or herbal weight loss products. It is not known if Qsymia is safe and effective in children under 18 years old. Who should not take Qsymia? are pregnant, planning to become pregnant, or become pregnant during Qsymia treatment. are taking certain medicines called monoamine oxidase inhibitors (MAOIs) or have taken MAOIs in the past 14 days. are allergic to topiramate, sympathomimetic amines such as phentermine, or any of the ingredients in Qsymia. See the end of this Medication Guide for a complete list of ingredients in Qsymia. What should I tell my healthcare provider before taking Qsymia? are breastfeeding. It is not known if Qsymia passes into your breast milk. You and your healthcare provider should decide if you will take Qsymia or breastfeed. You should not do both. Tell your healthcare provider about all the medicines you take, including prescription and non-prescription medicines, vitamins, and herbal supplements. Qsymia taken with other medicines may affect how each medicine works and may cause side effects. Birth control pills. Tell your healthcare provider if your menstrual bleeding changes while you are taking birth control pills and Qsymia. Know the medicines you take. Keep a list of them to show your healthcare provider and pharmacist each time you get a new medicine. Do not start a new medicine without talking to your healthcare provider. How should I take Qsymia? Your healthcare provider should start you on a diet and exercise program when you start taking Qsymia. Stay on this program while you are taking Qsymia. Do not change your dose without talking to your healthcare provider. Qsymia can be taken with or without food. If you miss a dose of Qsymia, wait until the next morning to take your usual dose of Qsymia. Do not double your dose. Your healthcare provider should either (1) tell you to stop taking Qsymia or (2) increase your dose of Qsymia if you do not lose a certain amount of weight within the first 12 weeks of treatment at the recommended dose. Your healthcare provider should tell you to stop taking Qsymia if you have not lost a certain amount of weight after an additional 12 weeks of treatment on the higher dose. Do not stop taking Qsymia without talking to your healthcare provider. Stopping Qsymia suddenly can cause serious problems, such as seizures. Your healthcare provider will tell you how to stop taking Qsymia slowly. If you take too much Qsymia, call your healthcare provider or go to the nearest emergency room right away. What should I avoid while taking Qsymia? Do not get pregnant while taking Qsymia. See " What is the most important information I should know about Qsymia." Do not drink alcohol while taking Qsymia. Qsymia and alcohol can affect each other causing side effects such as sleepiness or dizziness. Do not drive a car or operate heavy machinery, or do other dangerous activities until you know how Qsymia affects you. Qsymia can slow your thinking and motor skills, and may affect vision. What are the possible side effects of Qsymia? Concentration, memory, and speech difficulties. Qsymia may affect how you think and cause confusion, problems with concentration, attention, memory, or speech. Tell your healthcare provider if symptoms occur. Your healthcare provider should do a blood test to measure the level of acid in your blood before and during your treatment with Qsymia. These are not all of the possible side effects of Qsymia. For more information, ask your healthcare provider or pharmacist. Call your doctor for medical advice about side effects. You may report side effects to VIVUS at 1-888-998-4887 or FDA at 1-800-FDA-1088. How should I store Qsymia? Store Qsymia at room temperature between 59°F to 77°F (15°C to 25°C). Keep Qsymia and all medicines out of the reach of children. Medicines are sometimes prescribed for purposes other than those listed in a Medication Guide. Do not use Qsymia for a condition for which it was not prescribed. Do not give Qsymia to other people, even if they have the same symptoms you have. It may harm them. This Medication Guide summarizes important information about Qsymia. If you would like more information, talk with your healthcare provider. You can ask your pharmacist or healthcare provider for information about Qsymia that is written for healthcare professionals. For more information, go to www.QsymiaREMS.com or call 1-888-998-4887. What are the ingredients in Qsymia? Inactive Ingredients: methylcellulose, sucrose, starch, microcrystalline cellulose, ethylcellulose, povidone, gelatin, talc, titanium dioxide, FD&C Blue #1, FD&C Red #3, FD&C Yellow #5 and #6, and pharmaceutical black and white inks.